Creating business matrix with free templates and examples. Business matrix has never been easier. 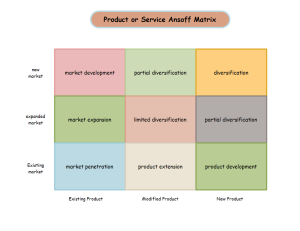 The business matrix shows the relationship among model elements of particular types. It also can give information about the relationship, therefore, you can tell easily whether two model elements are related or not, and what kind of relationship do they have. 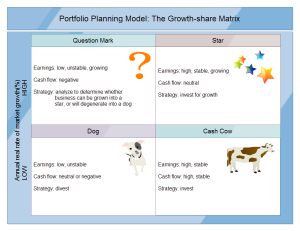 The business matrix can be used in almost all types of decision making that involves several options or alternatives, or is affected by several factors. For example, a business matrix that relates various reliability tests to various failure mechanisms by displaying its weakness, the roles played by various individuals or measurements might show in its main row industry-standard reliability tests and on its main column commonly-encountered failure mechanisms. 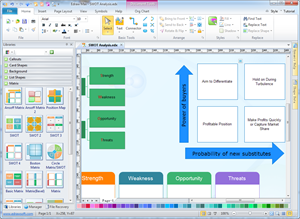 Edraw Business Matrix tool makes it easy to create professional-looking matrix diagrams, including the types of SWOT matrix, position matrix, ansoff matrix and growth matrix. It provides a large variety of built-in vector shapes and ready-to-use templates. You can finish a nice business matrix in just minutes. 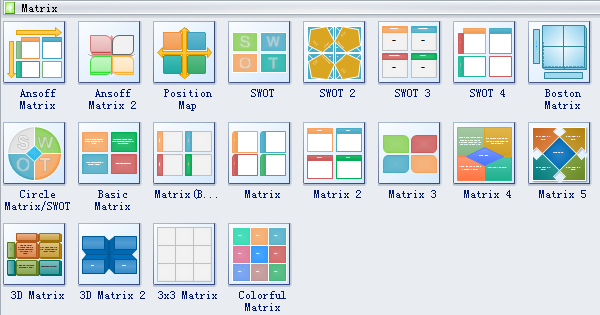 Edraw software provides you various kinds of matrixes, Ansoff matrix, position map, SWOT, Boston matrix, circle matrix, 3D matrix, colorful matrix, basic matrix. A portfolio planning model template is specially designed for you in editable vector format, which is clear and attractive. Click the picture to enter into the download page, and save this editable template for your own use. 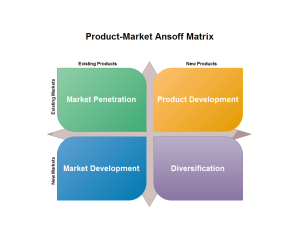 A product ansoff matrix template is provided in vector format to simplify your drawing process. 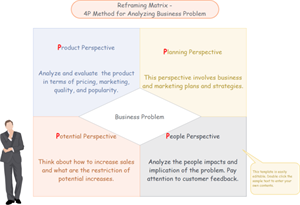 learn how to analyze and solve business problem with reframing matrix. The right reframing matrix shows you how to deal with business problem from the perspectives of product, planning, potential and people. Another nice and unique reframing matrix example is available for free download. 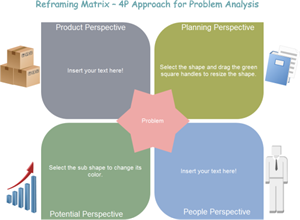 Learn more about problem solving with reframing matrix.